Oruç Travel is committed to sustainable, environmentally friendly tourism. Central to our beliefs is the harmony between nature and the community. For future to become a world brand in tourism and amajur destination for visitors from all cultures and countries it needs to develop quality in all aspects of the business. To create secure and sustainable development that safeguards Turkey's history, culture and world class natural environments, it is neccessary to provide strong governance of the industry. Regional brands needs to highlight quality, culture impeccable service and high-end developments that are not sustainable and deliver poor quality that only appeals to the lower end of the market. Turkey is at the crossboards between Europe and Asia. Its people, culture and civilization date back to the dawn of time. Few countires rival Turkey for its variety, cultural features and opportunities. Quite simply Turkey needs to brand itself as a secure, sustainable, welcoming place to do business that is of the high standards in an unstabe world Dalyan, in Muğla on the Eagen coast offers unrivaled natural beauty, the number one beach ( as voted by Tripadvisor ) and rivers, lakes, mountains that host the warmest welcome from the local comminty. 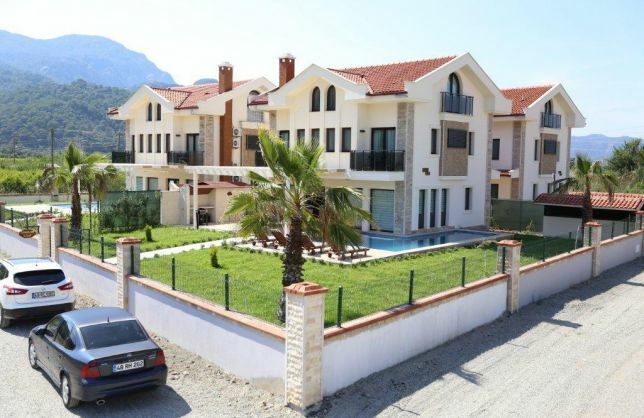 Investors will be provided with 30 years experiance in construction in Dalyan, 15 years international co-operations with the UK and unrivaled experience in producing bespoke villas and speical projects. There is no better place to develope cultural collaboration and support mutural understanding to provide a better future for our children raide employment levels and continually improve products and services. Dalyan provides security, sustainable developments in one of the most serene and beautiful areas of the world. Come and join us ! "I look to the world with an open heart of pure feelings and friendship. "